Planning a wedding in 2018 is going to make it one of the most exciting years of your life – and we’d love to be a part of it! 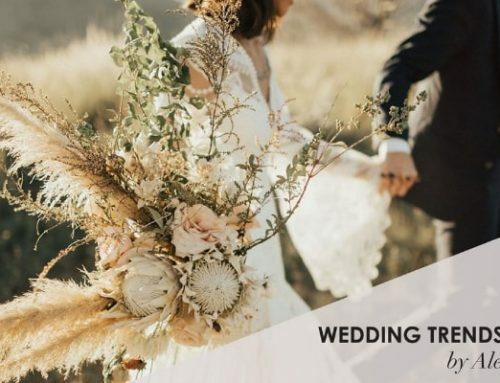 That’s why we, here at The Aleit Group, are proud to present you this crash course in 2018’s hottest wedding trends. From colours, to florals and everything in between, we’ll take you through what’s hot and what’s not this wedding season! For personalized help, event management and event coordination, why not consult one of our industry leading wedding coordinators? For now, sit back, relax, and have fun learning about what’s fresh and new on the scene in 2018! The hottest colour trend this year is bound to be Pantone’s Colour of the Year for 2018: Ultra Violet! 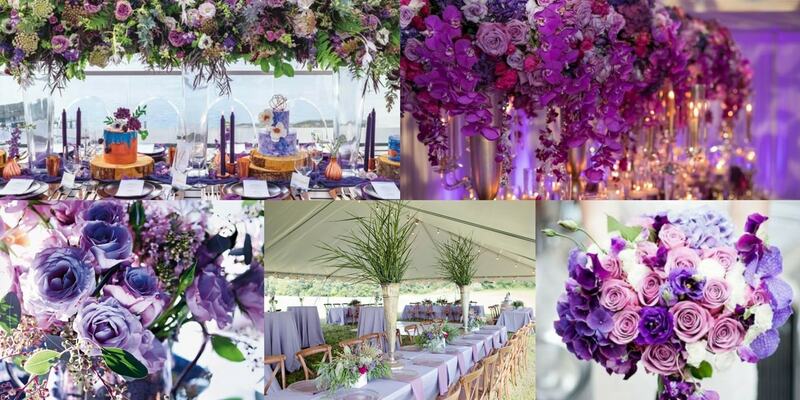 This means tons of purple pops of colour are bound to show their faces in elements from bridesmaids’ apparel to florals and decor. With statement kicks trending in 2018, we’re predicting you’ll see some Ultra Violet footwear peeking out from beneath wedding dresses this year too! Kicking it back to the classics this year, 2018 is all about sleek black and white minimalism, and understated class. With galaxy and celestial elements set to be trending in 2018, black just makes sense, and can be incorporated into everything from stationery and decor to the wedding gown! There are a number of world-renowned designers set to debut some black statement wedding gowns on the runway this year! 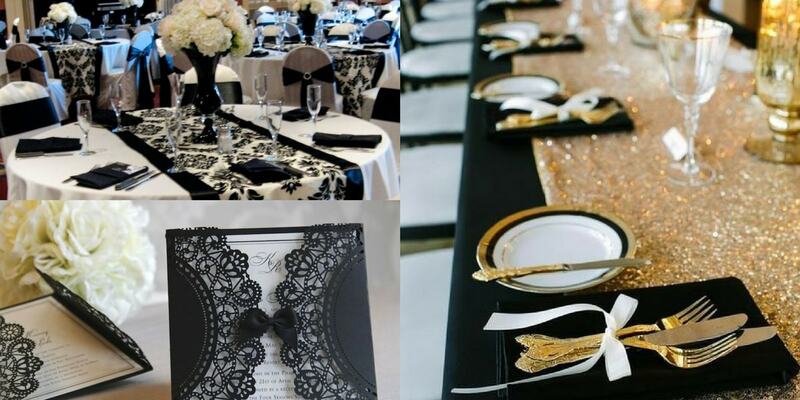 Whether you’re down for a black lace accent, or feeling a non-traditional all-black wedding gown, there are 101 ways to bring black into your colour palette for a 2018 wedding. 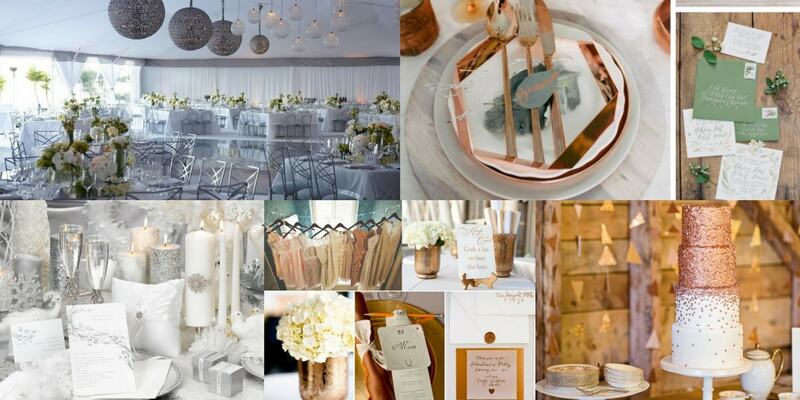 While metallic tones have been trending since early 2017, 2018 will see brides turning away from more traditional and predictable hues like gold and silver, in favour of warm copper tones and chrome accents. In keeping with these modern takes on the metallic trend, we predict we’ll see many brides opting for indoor ceremonies in 2018, but forgoing the traditional church venue in favour of trendy settings like refurbished industrial spaces, and chic rooftops and lofts. 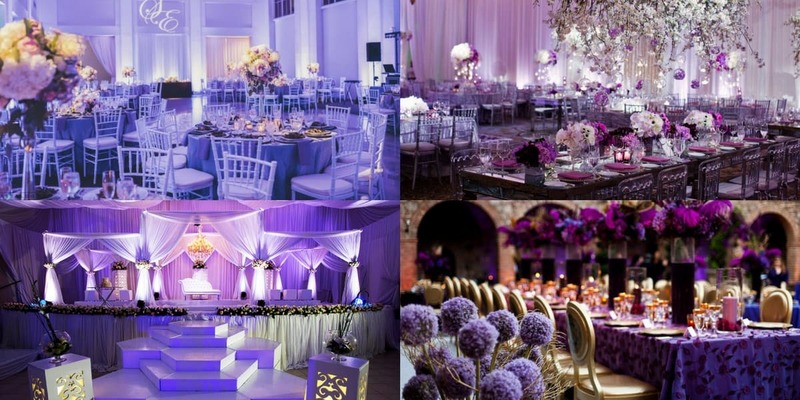 Thanks to Pantone naming Ultra Violet their colour of the year 2018, we’re bound to see an influx in brides searching for purple blooms to include in their floral arrangements, from bouquets to boutonnieres and centerpieces, purple floral elements will definitely be having their moment in 2018. Gone are the days where pastels reigned supreme! We predict 2018 will see brides shifting their floral focus to more dramatic combinations and colour palettes! Moodier hues will rule the mood board in 2018 with brides looking to colours like mauve, plum, and maroon for inspiration. 2018 Brides are shifting their focus heavenward, and dramatic centerpieces are being sidelined in favour of simpler tablescapes and gorgeous, lush, overhead hanging floral arrangements. Think wisteria and abundant greenery! Basically, anything that can drape will be big in 2018! Geometric and more avant garde floral elements are having a huge moment in 2018! 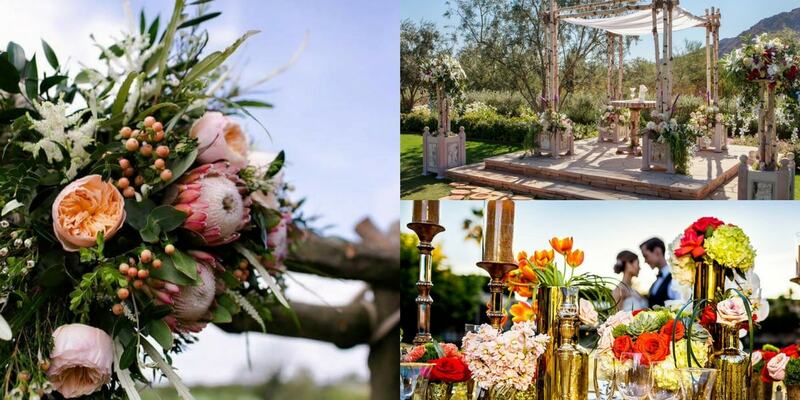 From architectural arrangements featuring single blooms, to geometric floral backdrops for the ceremony, avant garde design and lush florals are a match made in heaven this year, and are going to be responsible for some of the most beautiful wedding photographs ever! Why pay for floral elements that’ll be dead in a week? 2018 brides are more concerned with longevity and eco-awareness than past brides have been, and we predict that many brides will opt for potted, live plants and floral elements wherever possible. These also make for great mementos of your special day as you can plant them in your garden afterwards, or send them home with guests as “thank you” gifts! Gone are the days in which two-dimensional decor is sufficient – 3d floral designs and elegant 3-dimensional elements are going to be big in 2018! 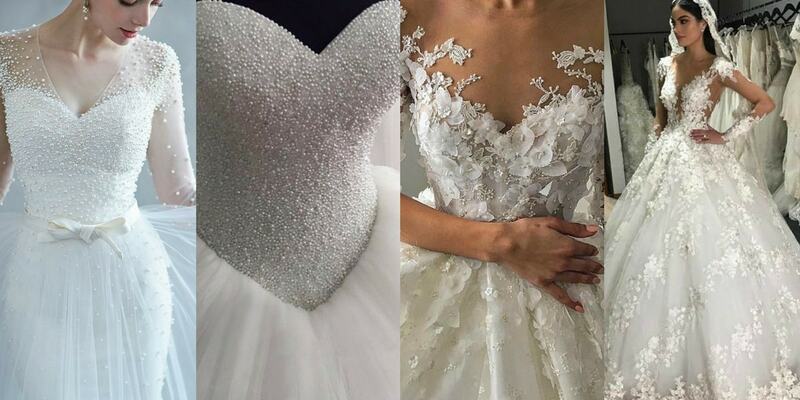 Wedding dress designers over the world have already begun to debut their own takes on the 3d lace, and 3d floral wedding trends for dresses are becoming more popular. 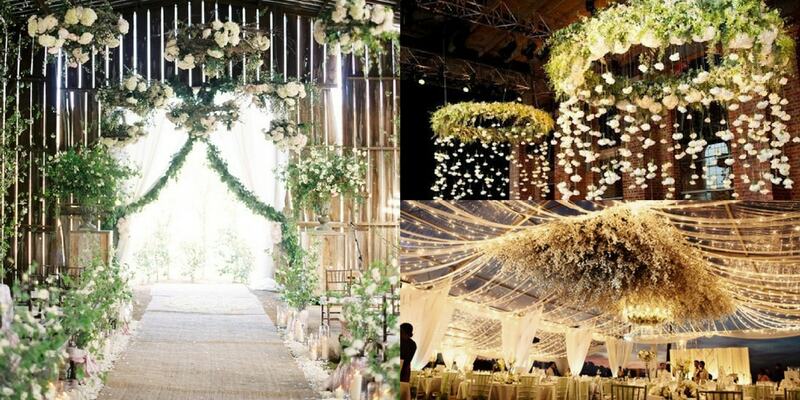 We predict this is going to be a big trend, especially among the more dramatic and extravagant brides! Once again proving that the 2018 is prime time for vintage nostalgia, pearls are making their presence known again in 2018 with many brides opting for pearl wedding dress embellishments and jewellery in favour of something more glitzy. Pearls speak to a softer, more intimate side of marriage, and bring an element of understated elegance and grace to a wedding gown and a wedding celebration. A little less out there, but no less dramatic, bell sleeves are making a huge comeback in 2018! 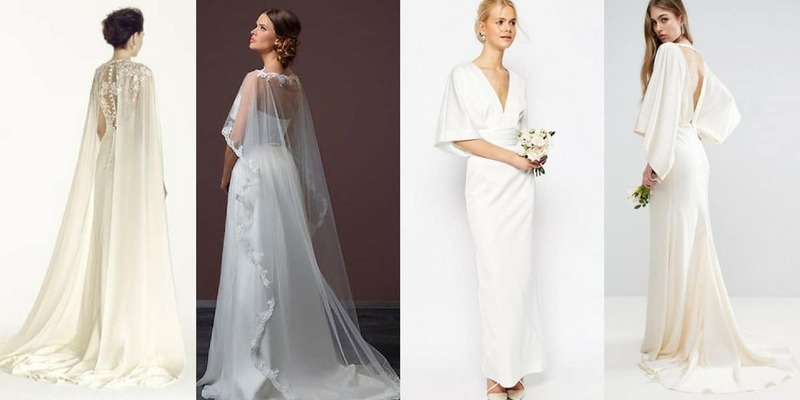 Perfect for the bohemian and vintage-loving bride alike, bell sleeves can be super casual or super elegant depending on your style and preference. Whether you opt for a lace bell sleeve, or a soft, sheer bell sleeve, we predict 2018 bride’s are going to be all over this whimsical trend! 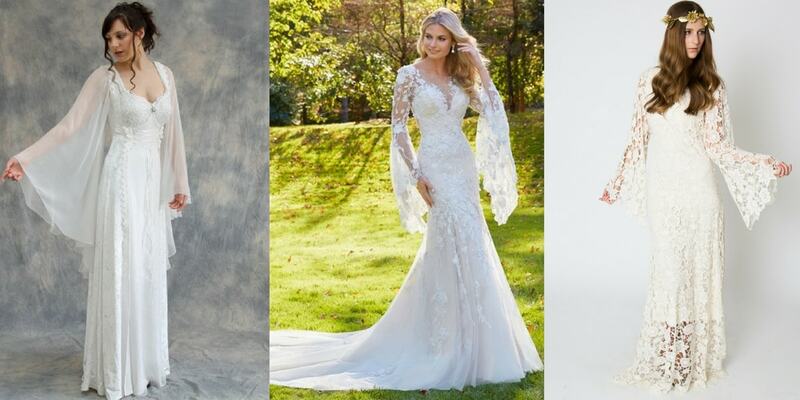 Lace and fur boleros are so last year – keep things fresh and trendy in 2018 by opting for an avant garde cape and wedding dress combo, or throwing on a bright kimono over your ivory gown for some of your wedding snaps! Whether opting to bring in a splash of colour (perhaps matching your statement shoes!) or keeping things neutral, a cool cape, or funky kimono are a great way to show off your personality on your wedding day! If geometric floral arrangements aren’t your style, there are still 101 ways for you to bring the geometric trend into your wedding decor! 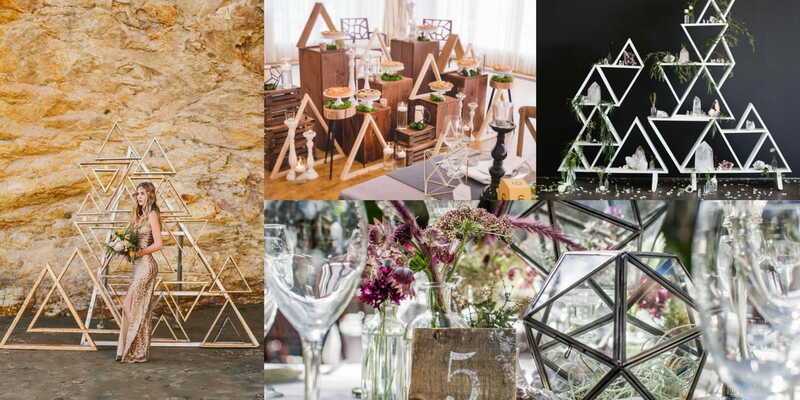 From unusual geometric chargers to cool geometric glassware or architectural and sculptural centerpieces; the geometric trend isn’t going anywhere, and is bound to be a fixture in the 2018 wedding lineup. Tying in with the return to black and white colour palettes and classic silhouettes, simple elegance is 2018’s “shabby chic”, and aren’t we glad! Understated elegance, and timeless decor elements are the name of the game – think traditional floral centerpieces, chandeliers, 3-course plated meals served on simple, clean porcelain crockery. This is the kind of black-tie, white gown affair that will never go out of style! 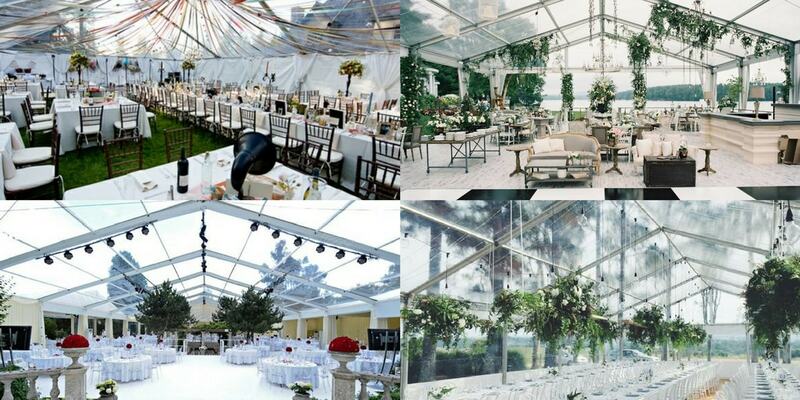 From modern transparent tiffany chairs to favouring glass ceilinged reception venues, 2018 is all about the see-through elements; especially among bridal couples with more modern or avant garde inclinations. There are tons of ways to bring the transparent trend into your wedding decor, including in seating, venue, invitations (laser-cut or sandblasted lucite invite anyone? ), and so much more. 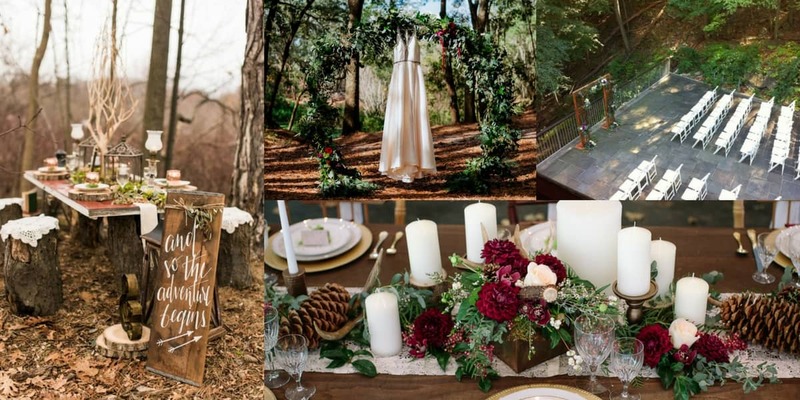 In 2018, “woodsy” is the new “rustic” and we see brides moving away from barns and burlap; opting instead for reclaimed wood, and wood grain elements as well as favouring outdoor, forest-y settings. 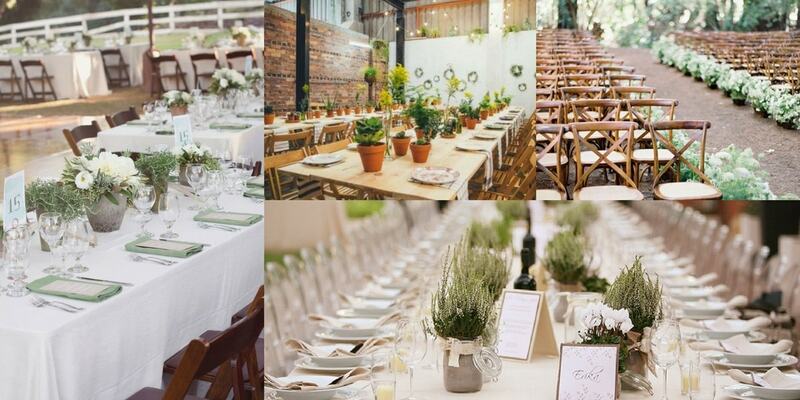 Whether you want to bring the forest feeling indoors, or want to have a family-style banquet under the trees, the woodsy trend can be embraced by indoor and outdoor favouring brides alike. While the traditional wedding cake is actually making a comeback in 2018, and brides want that cake cutting photograph in their wedding albums, like their mothers and fathers’ have; unconventional desserts are super trendy in 2018! Whether you opt for a dessert table to compliment your traditional cake, or opt for an ice-cream bar, or dessert buffet, 2018 is the year of the sweet-tooth, and a lot of emphasis is being placed on desserts at receptions. The 2017 doughnut tower trend is here to stay in 2018, and macarons will never go out of style, but consider experimenting a little with your final course this year! 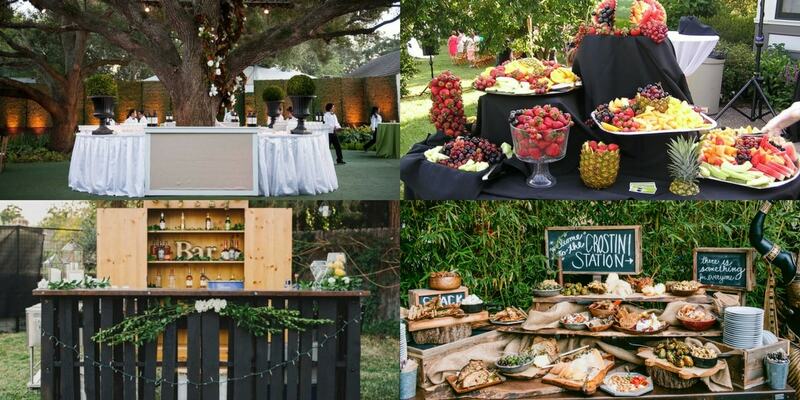 An open bar is always a winner, but an unconventional bar takes the cake! Couples are opting for cool craft beer on tap solutions, and relying on mobile bars in refurbished horse trailers to quench their guests thirst this year. The more out-there the better when it comes to serving drinks at your wedding in 2018. With food trucks having been a big trend in 2017, the mobile bar is 2018’s boozy response to the demand for caterers on wheels! Why not opt for a cool mobile gin bar, or a cocktail caravan at your wedding? 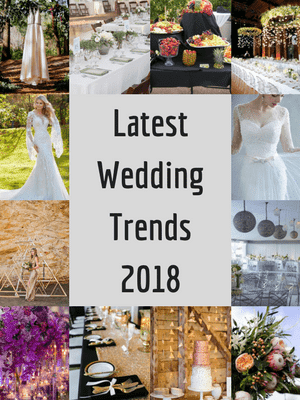 2018 is the year in which, while some elements will remain more popular than others, and wedding trends can be observed, anything goes! 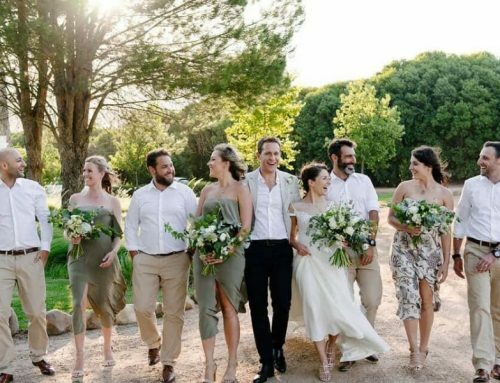 We are moving into an era in which more and more couples are foregoing traditional elements in favour of really celebrating their individuality and personality as a couple on their wedding day, and we say, more power to them! 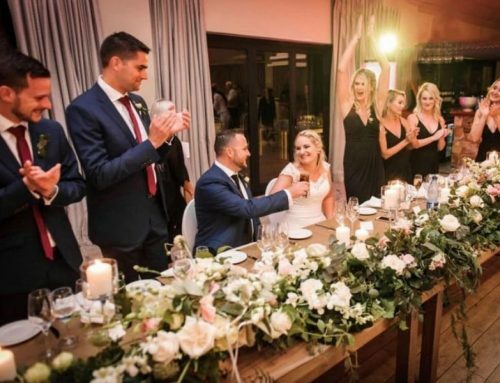 Whether you want to throw a classic, timeless wedding if that feels true to you, or want to get down and boogy on your wedding day and let your freak flag fly, let The Aleit Group help you plan and coordinate a wedding day you and your guests will not soon forget! 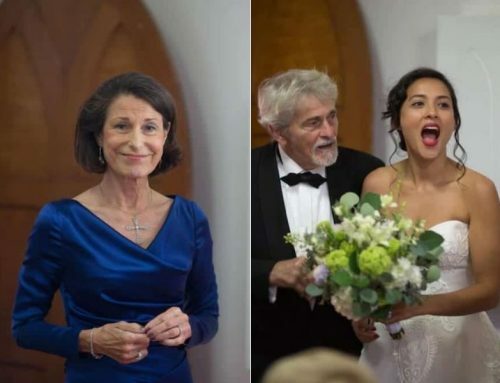 For more information, feel free to Contact Us, and we’ll help you put together a custom curated wedding celebration you’ll look back and smile for decades and generations to come!